Good morning darlings! I'm going to keep this post short simple and sweet today. It was a long & eventful weekend and this "grandma" was kept up way past her bed time and is pretty beat. Not that I'm really complaining cause we got to spend time with family and watch one of Gregory's cousin get married, hang out with my fellow blogger friend Rachel (check her blog out: Suburban Style Challenge) and we had a tree taken down in the front yard. Over all a crazy weekend! Does anyone else "cut corners" when they're manicure starts to look dull or chipped? I can't be the only one. Let me know in the comments below! Holy cow. Please teach me how to make my nails as beautiful as yours!! Even as a self proclaimed nail polish-aholic having over 150 polishes I can't make my nails look like that! I absolutely love this combo! So cute and the perfect summer mani! Those look great! I could see them being great for the summer or special occasions (or summer special occasions, ha). Did you do that with tape? Such a good idea for keeping a manicure fresh! That color is perfect for summer, I love it! That's gorgeous. What a fantastic idea. I wish I could get that level of shine on my polish jobs! Super pretty. I never would have thought to put the sparkles on a slant like that. I love it. What a luxurious looking mani! I never thought to spruce up a dull mani this way, but it's quite ingenious! I love this look for the 4th of July. 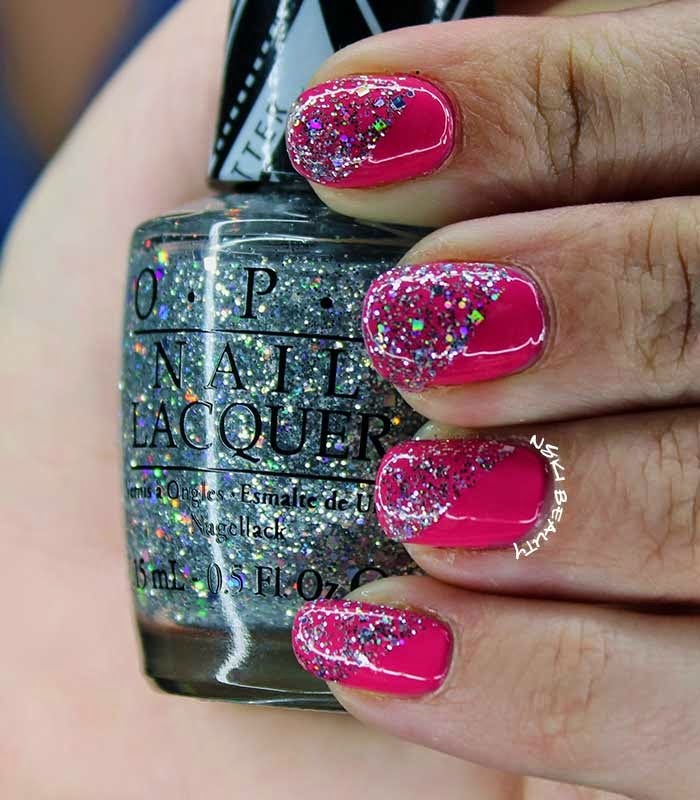 That pink is everything, I love the sparkle too... you're way neater at painting your nails then I am! Love Love Love this mani. I love the hint of sparkle and the color itself is GORGEOUS and perfect for summer. Great mani. Beautiful swatches! Love the sparkles. My daughter adores pink and anything sparkly. We're going to have to try this out. She'd love it ! I love the pink - that's a beautiful shade! I showed your pics to my daughter and told her that if she quits chewing her nails, we will do this mani. She was thrilled. Fingers crossed! How do you get the sides of the glitter so straight? Oh my goodness.. your nails are fantastic! How do you get them to grow so long? I bite mine so much.. I really need to stop so I can paint them and make them look nice. That is so cute - I think I'm in love with Strawberry Margarita. It's a great Summer color! The pink is so shiny! I actually think I bought that shade after seeing it on Khloe Kardashian's instagram! Love how shiny both polishes are. 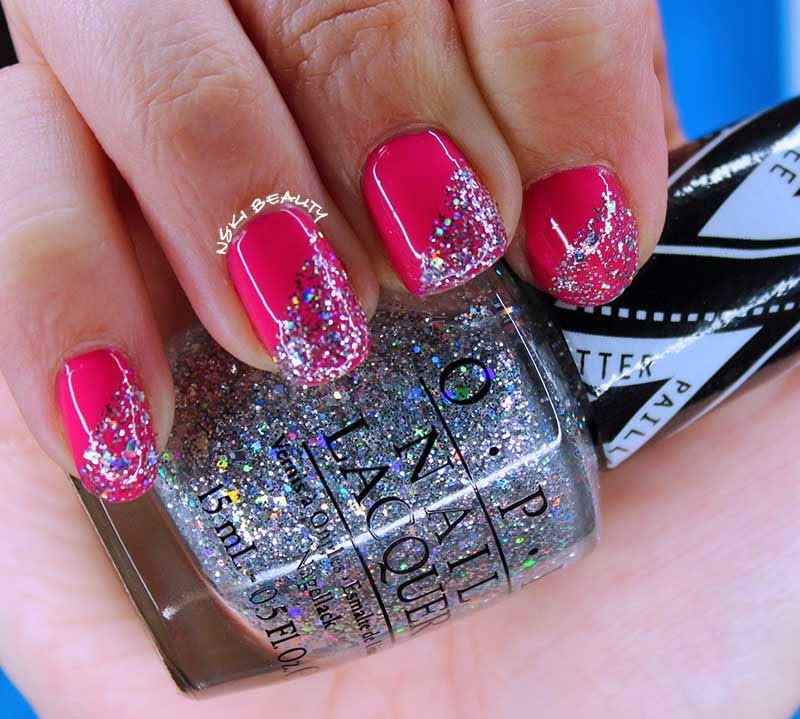 I'm especially obsessed with that glitter topcoat! OMG I need that pink in my life like now! 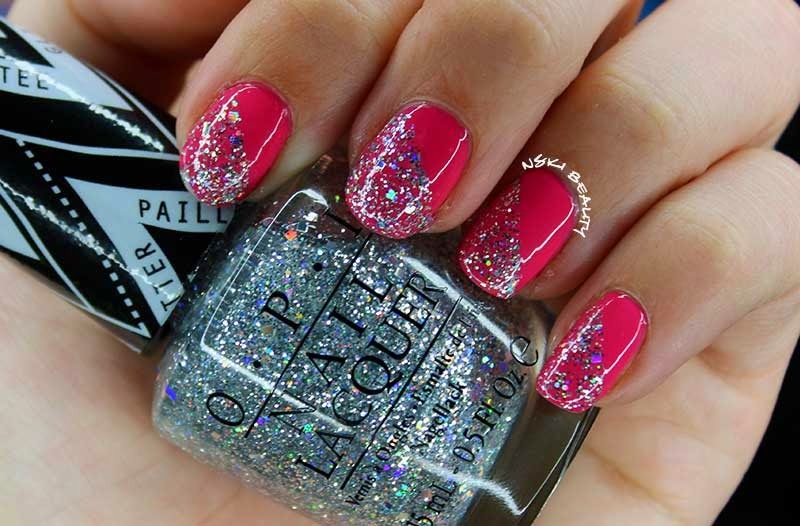 I absolutely love this mani!